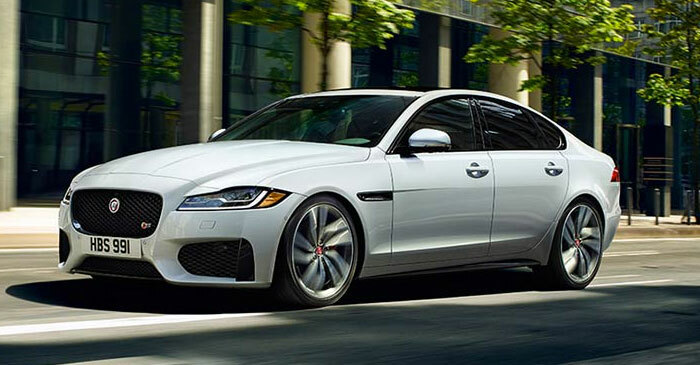 *Lease a new (in stock) 2019MY XF Premium 25t (2.0 Petrol) AWD with an annual percentage rate (“APR”) of 5.9% for up to 48 months for qualified retail lessees, on approved credit (OAC) from Jaguar Canada Financial Services. Not all buyers will qualify for the lowest APR payment. For example, lease a vehicle with a value of $61,690 at 5.9% APR for up to 48 months with $6,999 down payment or equivalent trade-in and after $950 Jaguar Credit and Retailer Discount applied: monthly payment is $828, total lease obligation is $46,725, optional buyout is $23,104. Some conditions apply and a mileage restriction of 64,000km over 48 months applies. A charge of $0.25 cents per km over mileage restriction applies plus applicable taxes. Offer includes: Freight ($1,600), PDI ($495), Admin up to ($395) and AC Charge ($100). License, insurance, and all applicable taxes are extra. Offers expire April 30, 2019. Special order may be required. Offer may be cancelled at any time without notice. Vehicle may not be exactly as shown. Retailers may sell or lease for less. Limited quantities available. Please visit your Jaguar Retailer for details. ©2019 Jaguar Land Rover Canada ULC. *Lease a new (in stock) 2019MY XJ R-Sport SWB (3.0 V6 Petrol) with an annual percentage rate (“APR”) of 2.9% for up to 42 months for qualified retail lessees, on approved credit (OAC) from Jaguar Canada Financial Services. Not all buyers will qualify for the lowest APR payment. 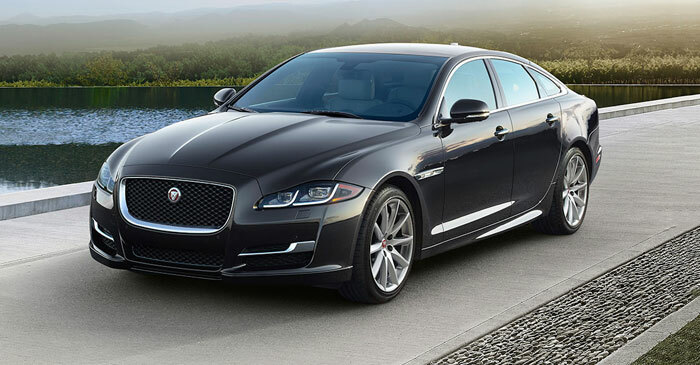 For example, lease a vehicle with a value of $96,090 at 2.9% APR for up to 42 months with $9,999 down payment or equivalent trade-in and after $9,500 Jaguar Credit and Retailer Discount applied: monthly payment is $1,088, total lease obligation is $55,657, optional buyout is $36,652. Some conditions apply and a mileage restriction of 56,000km over 42 months applies. A charge of $0.30 cents per km over mileage restriction applies plus applicable taxes. Offer includes: Freight ($1,500), PDI ($495), Admin up to ($395) and AC Charge ($100). License, insurance, and all applicable taxes are extra. Offers expire April 30, 2019. Special order may be required. Offer may be cancelled at any time without notice. Vehicle may not be exactly as shown. Retailers may sell or lease for less. Limited quantities available. Please visit your Jaguar Retailer for details. ©2019 Jaguar Land Rover Canada ULC. 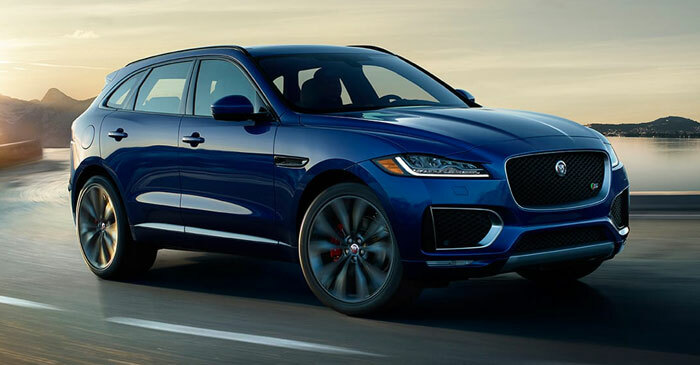 *Lease a new (in stock) 2019MY F-PACE Premium 25t (2.0 Petrol) AWD with an annual percentage rate (“APR”) of 2.9 % for up to 42 months for qualified retail lessees, on approved credit (OAC) from Jaguar Canada Financial Services. Not all buyers will qualify for the lowest APR payment. For example, lease a vehicle with a value of $54,190 at 2.9 % APR for up to 42 months with $5,999 down payment or equivalent trade-in and after $2,375 Jaguar Credit and Retailer Discount applied: monthly payment is $538, total lease obligation is $28,574, optional buyout is $26,916. Some conditions apply and a mileage restriction of 56,000 km over 42 months applies. A charge of $0.25 cents per km over mileage restriction applies plus applicable taxes. Offer includes: Freight ($1,700), PDI ($495), Admin up to ($395) and AC Charge ($100). License, insurance, and all applicable taxes are extra. Offers expire April 30, 2019. Special order may be required. Offer may be cancelled at any time without notice. Vehicle may not be exactly as shown. Retailers may sell or lease for less. Limited quantities available. Please visit your Jaguar Retailer for details. ©2019 Jaguar Land Rover Canada ULC. 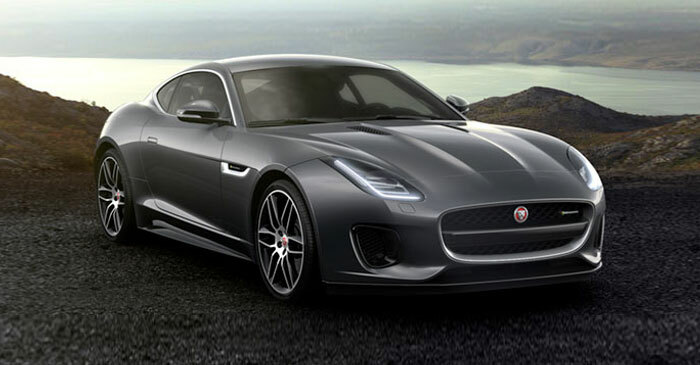 *Lease a new (in stock) 2019MY F-TYPE Coupe i4T (296hp) RWD Auto with an annual percentage rate (“APR”) of 1.9 % for up to 42 months for qualified retail lessees, on approved credit (OAC) from Jaguar Canada Financial Services. Not all buyers will qualify for the lowest APR payment. For example, lease a vehicle with a value of $72,090 at 1.9 % APR for up to 42 months with $7,999 down payment or equivalent trade-in and after $7,775 Jaguar Credit and Retailer Discount applied: monthly payment is $648, total lease obligation is $35,197, optional buyout is $32,040. Some conditions apply and a mileage restriction of 56,000 km over 42 months applies. A charge of $0.30 cents per km over mileage restriction applies plus applicable taxes. Offer includes: Freight ($1,600), PDI ($495), Admin up to ($395) and AC Charge ($100). License, insurance, and all applicable taxes are extra. Offers expire April 30, 2019. Special order may be required. Offer may be cancelled at any time without notice. Vehicle may not be exactly as shown. Retailers may sell or lease for less. Limited quantities available. Please visit your Jaguar Retailer for details. ©2019 Jaguar Land Rover Canada ULC. 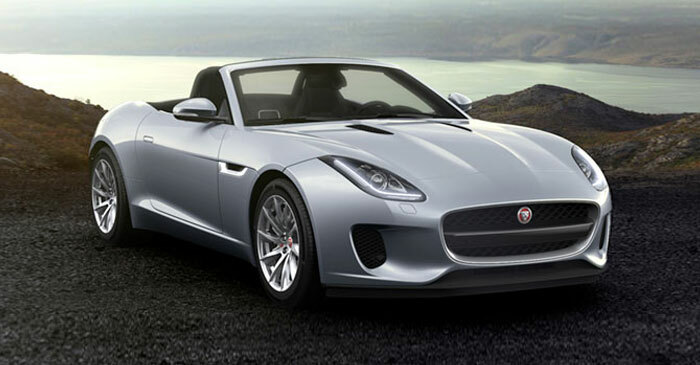 *Lease a new (in stock) 2019MY F-TYPE Conv. 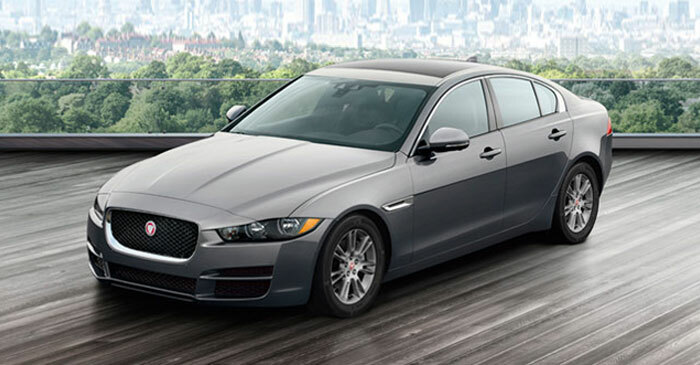 i4T (296hp) RWD Auto with an annual percentage rate (“APR”) of 1.9 % for up to 36 months for qualified retail lessees, on approved credit (OAC) from Jaguar Canada Financial Services. Not all buyers will qualify for the lowest APR payment. For example, lease a vehicle with a value of $75,090 at 1.9 % APR for up to 36 months with $7,999 down payment or equivalent trade-in and after $11,125 Jaguar Credit and Retailer Discount applied: monthly payment is $598, total lease obligation is $29,503, optional buyout is $37,100. Some conditions apply and a mileage restriction of 48,000 km over 36 months applies. A charge of $0.30 cents per km over mileage restriction applies plus applicable taxes. Offer includes: Freight ($1,600), PDI ($495), Admin up to ($395) and AC Charge ($100). License, insurance, and all applicable taxes are extra. Offers expire April 30, 2019. Special order may be required. Offer may be cancelled at any time without notice. Vehicle may not be exactly as shown. Retailers may sell or lease for less. Limited quantities available. Please visit your Jaguar Retailer for details. ©2019 Jaguar Land Rover Canada ULC. 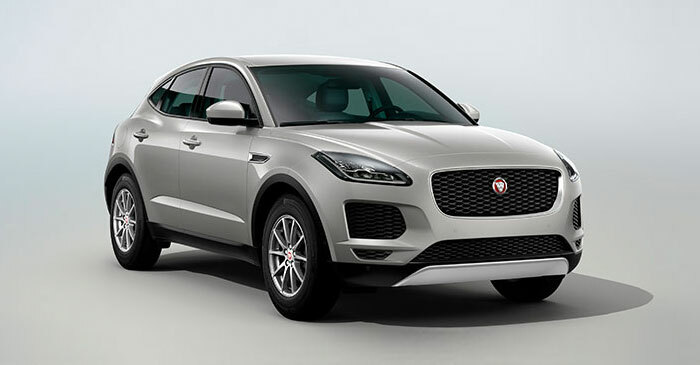 *Lease a new (in stock) 2019MY E-PACE SE (P250) AWD with an annual percentage rate (“APR”) of 3.9 % for up to 39 months for qualified retail lessees, on approved credit (OAC) from Jaguar Canada Financial Services. Not all buyers will qualify for the lowest APR payment. For example, lease a vehicle with a value of $52,190 at 3.9% APR for up to 39 months with $5,999 down payment or equivalent trade-in and after $2,240 Jaguar Credit and Retailer Discount applied: monthly payment is $528, total lease obligation is $26,553, optional buyout is $27,932. Some conditions apply and a mileage restriction of 52,000 km over 39 months applies. A charge of $0.20 cents per km over mileage restriction applies plus applicable taxes. Offer includes: Freight ($1,700), PDI ($495), Admin up to ($395) and AC Charge ($100). License, insurance, and all applicable taxes are extra. Offers expire April 30, 2019. Special order may be required. Offer may be cancelled at any time without notice. Vehicle may not be exactly as shown. Retailers may sell or lease for less. Limited quantities available. Please visit your Jaguar Retailer for details. ©2019 Jaguar Land Rover Canada ULC. 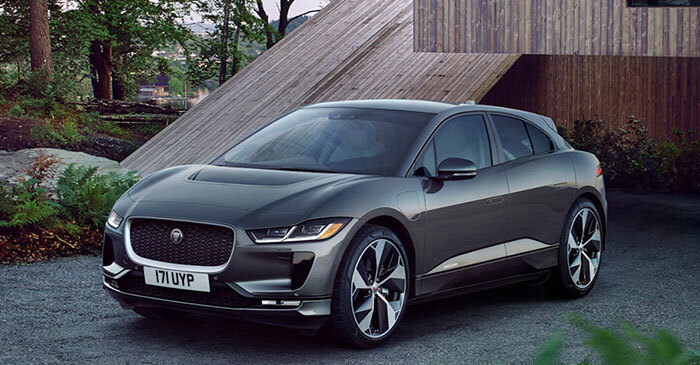 *Lease a new (in stock) 2019MY I-PACE S (EV400) AWD with an annual percentage rate (“APR”) of 5.9 % for up to 48 months for qualified retail lessees, on approved credit (OAC) from Jaguar Canada Financial Services. Not all buyers will qualify for the lowest APR payment. For example, lease a vehicle with a value of $89,240 at 5.9 % APR for up to 48 months with $7,999 down payment or equivalent trade-in and after $250 Jaguar Credit and Retailer Discount applied: monthly payment is $1,238 , total lease obligation is $67,408, optional buyout is $35,340. Some conditions apply and a mileage restriction of 64,000 km over 48 months applies. A charge of $0.25 cents per km over mileage restriction applies plus applicable taxes. Offer includes: Freight ($1,750), PDI ($495), Admin up to ($395) and AC Charge ($100). License, insurance, and all applicable taxes are extra. Offers expire April 30, 2019. Special order may be required. Offer may be cancelled at any time without notice. Vehicle may not be exactly as shown. Retailers may sell or lease for less. Limited quantities available. Please visit your Jaguar Retailer for details. ©2019 Jaguar Land Rover Canada ULC.